Today, enterprises are more dependent on having robust, agile IT solutions than ever before. The move to virtualization and cloud technologies have helped address the need for agility and speed, but they can also be complex to operate. The reality is that you have multiple products from a variety of vendors in multiple places all around the world. And you need them to work together. 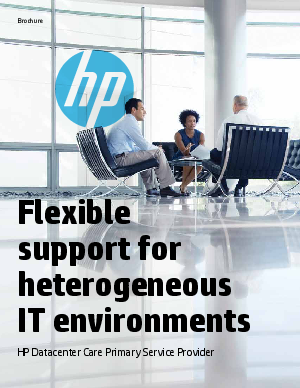 Read on to learn more about flexible support for heterogeneous IT environments.